Surrounded by the Cumberland River (Lake Barkley), Dover is located in the northern part of Middle Tennessee. The community forms a “gateway” that leads visitors into the Land Between the Lakes National Recreation Area and offers a variety of wildlife viewing options and natural habitats for migratory waterfowl. While Dover may be a southern town with just over 1,400 residents, what it lacks in size it makes up for in national impact and significance. Dover is home to national parks, a national wildlife refuge and serves as the site for one of the most important battles of the Civil War. If you’re looking to steal away to a quiet, nature-filled retreat, then Dover is the place to go. Or if you’re hoping to soak up some U.S. history then you’ll be amazed at all of the things that happened just along the shores of the Cumberland River over 150 years ago. Dover is the home of a number of recreational activities along Lake Barkley. The lake was formed in 1964 when the Cumberland River was dammed to create the Land Between the Lakes National Recreation Area. Lake Barkley is a great place for visitors to fish, boat or enjoy other water activities. It is part of the Land Between the Lakes National Recreation Area, which includes 170,000 acres of lands worth exploring, as well as rich historical sites, nature trails and centers for conservation education. Dover serves as the southern entrance to this national recreation area where visitors can also enjoy fishing and boating on Kentucky Lake. Water lovers are sure to find something to entice them here. The Fort Donelson National Battlefield is located along the Cumberland River. It is the site where Confederate General Simon Bolivar Buckner surrendered Confederate troops and lands to Union General Ulysses S. Grant on February 16, 1862. Visitors can learn about the battle and view the earthworks and canons that are on the fort. There is an 11-stop driving tour that details key locations and events during this Civil War battle in Tennessee. The Battle at Fort Donelson was the first major Northern victory and proved to be a strategic win for the Union armies. This loss to the Confederacy proved massive, as it paved the way for the Union Army to capture Nashville and Clarksville, TN, as well. It also led to the loss of southern territories in Southern Kentucky and much of Middle and West Tennessee. In addition to all of this, Fort Donelson’s location along the Cumberland River provided a vital Federal supply line for Union troops to ship and receive goods during the War. The victory at Fort Donelson played an important role in General Grant’s promotion to the position of Major General, the first of many titles he would earn before the end of the Civil War. In addition to the rich heritage and history that you will learn during your visit to Fort Donelson, the national battlefield includes trails and picnic areas that will make your day spent here rewarding and complete. The historic Dover Hotel was built in 1851, not long before the start of the Civil War and the battle that took place at Fort Donelson in 1862. It is the spot at which General Buckner surrendered his Confederate forces to the Union Army, a surrender that proved to be a major victory for General Grant and the Union cause. The hotel fell into disrepair and was eventually restored in the 1970s. It is still standing in the Fort Donelson National Battlefield, near the Fort Donelson National Cemetery. Prior to the Civil War there were no national cemeteries in the United States. 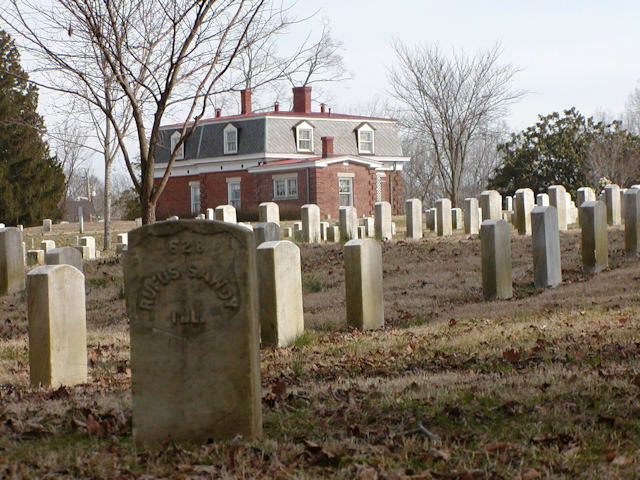 After the battle and surrender that took place at Fort Donelson in Dover, legislation was passed that allowed for the purchase of land at Fort Donelson to serve as a national cemetery for Union soldiers and sailors. This legislation was the start of the national cemetery system that exists in the United States today. The US Department of Interior Fish and Wildlife Service is responsible for managing and protecting the wildlife that find refuge in the 8,862 acres that make up the Cross Creek National Wildlife Refuge. The refuge provides a safe place for migratory waterfowl to live during the winter months. It also serves as a recreation area where visitors can enjoy nature and learn more about environmental issues and wildlife management. There are limited hunting opportunities here, as well fishing and a number of other outdoor recreation activities for guests to enjoy. While some of the region’s antique shopping has moved online, Dover is still home to several antique shops where visitors enjoy purchasing unusual treasures. If you’re really an antique enthusiast or just looking for that one special item, then a 40-minute trek over to Hazel, Kentucky, might prove a productive journey, as well. If you’re looking for southern charm and a quiet adventure, then Dover, TN, is the place to be. You and your family will see so many interesting attractions that will lead to a variety of great conversation on the trip home. So pack up the car and enjoy your trip! There are many things to do in and around Dover especially if you love the outdoors. Fishing, boating, and other recreational opportunities are waiting for you. For those considering relocating to the Dover area, you can get a closer look a the community and also take a look at Dover, Tennessee real estate agencies. You can even view a list of churches in the Dover area.